“I have some calls on my recent call list that I need to backup for possible litigation. I don’t know whether iCloud would do this or not. Is there a better way to back up call history? Please help, thanks a lot!" Either Android or iOS mobile devices make it easy to back up data to the cloud so that you can keep your data synced across devices, or move it to a new handset. Backup iPhone call logs right now! Take iOS device for example, iCloud is the official cloud service for its users. But most of them may wonder what data iCloud will back up? Does iCloud backup call history? Does iCloud backup messages? You are provided with 5GB of free cloud storage to save data, and you will have to pay for extra iCloud storage if needed. Some people are fond of using iTunes to create iOS backups on PC/Mac. But do you know neither iTunes nor iCloud allows you to access the important data unless you restore the backup to your device? Do you know what consequence will happen if you restore an iCloud backup or iTunes backup to get back your call history? All your current data will be replaced by the data from the backup! Besides, it's not that easy to find iTunes backup location, and the backup file is unreadable. You may be also interested in how to change iTunes backup location. Is there an actionable way to export call history from iPhone to computer? I would like to recommend FoneLab iOS Data Backup & Restore, which is the best iPhone backup tool. The software is designed to backup iPhone notes, photos, app photos, videos, audios, messages & attachments, contacts, call history, voicemail, WhatsApp & attachments, calendar, reminders, safari history & bookmarks, voice memos, app documents from iPhone, iPad or iPod touch to computer. With it, backing up your iPhone call logs is as easy as clicking on the Start button. Backup iOS data to your PC/Mac easily and selectively. One-click to backup all iOS data. Restore contacts, notes from the backup to the device. Step 1: Download and install the software on your computer with above link accordingly. The software will launch automatically once the process completes. 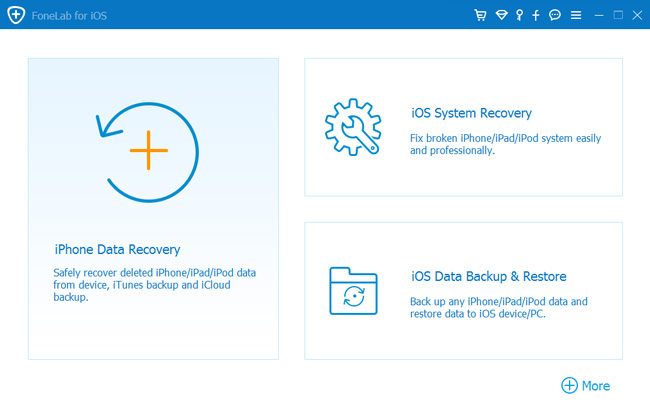 Choose iOS Data Backup & Restore from the interface. Step 2: Plug your iPhone into the computer. Then tap Trust on your device home screen if it is the first time to connect to this computer. Step 3: Choose iOS Data Backup & Restore in this section. Step 4: You can choose to make an encrypted backup if you want to protect your information with a password. Or make a standard backup. Click Start to move on. Step 5: You are able to select whatever data type you want to backup. If you want to backup all data, just tick the box next to the Select All option on the bottom-left. To only backup call history, tick the box in front of Call History. Step 6: Click the Next button to start the backup process. Then the backup file of call history is ready on your computer. That’s all. Does this guide help you out? If yes, please share it with more people. And feel free to leave us comments if you have questions or problems.